We have been considered as leading names in the industry engaged in offering a quality-assured range of Embalming Machines. The range of machines offered by us are highly demanded in the market for its durability, rugged construction and minimal maintenance. We also provide the facility of customization, in order to meet the exact requirements of the customers in an efficient manner. Our product range includes embalming machines such as Embalming Machine, Portable Embalming Machine and Embalming Workstation. 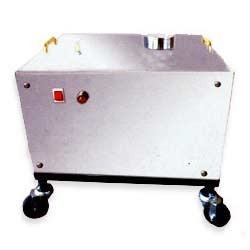 We are instrumental in offering our patrons a wide array of Embalming Machine. The Embalming Machines are used for preservation and sanitation purposes of the cadavers. Our offered machines provides a noise free suction and delivers an optimum pressure with a fluid delivery rate of 10 ltrs/hr. These are fabricated using high grade raw materials that are procured from the most eminent vendors of the market. 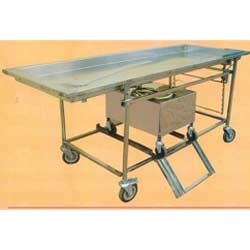 We are instrumental in offering our patrons a wide array of Embalming Workstation. The workstations are used for . Our offered product preservation, Autopsy and sanitation purposes of the cadavers helps in smooth functioning and operations by the surgeons. These are fabricated using high grade raw materials that are procured from the most eminent vendors of the market. Looking for Embalming Machines ?